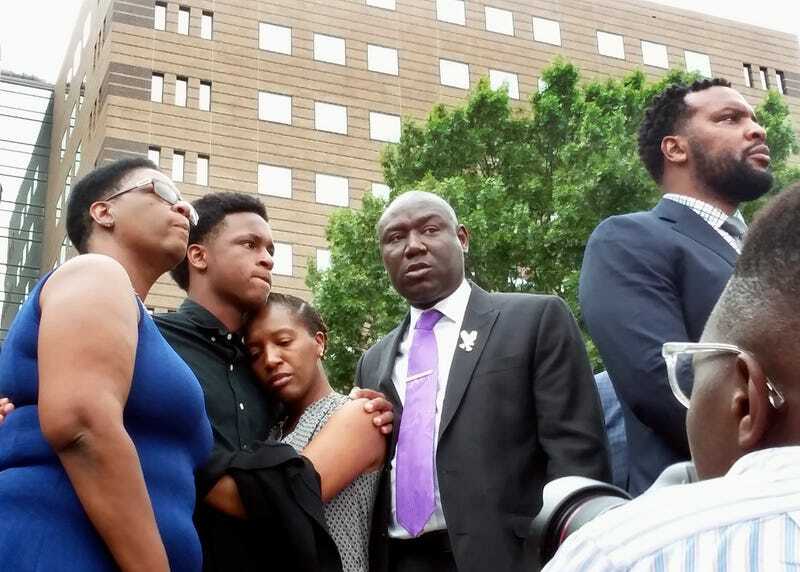 More details are being added to the confusing narrative of just what happened when Dallas Police Officer Amber Guyger reportedly shot and killed Botham Jean in his own apartment Thursday night. A law enforcement official—speaking on condition of anonymity—told the Dallas Morning News that Guyger had just ended a 15-hour shift and was still in uniform when she parked on the wrong floor of the parking garage at the South Side Flats apartments where both she and Jean lived. Guyger lives on the third floor, but for some unknown reason, she parked on the fourth floor. She then entered the building and walked to where her apartment would have been, had she been on the correct floor. She did not notice the bright red doormat that Jean, 26, had in front of his door. Reportedly, the door to Jean’s apartment was unlocked, so when Guyger stuck her key in the wrong lock, the door opened. According to the report, when Guyger entered the apartment, the lights were out. When she saw someone moving in the darkness, she thought her apartment was being burglarized—so the nearly five-year veteran of the Dallas police force pulled her weapon and fired twice. Guyger then turned the lights on and realized she was in the wrong apartment. Jean was shot once in the chest. Guyger then called 911, and reportedly can be heard crying and saying “I’m so sorry” and “I thought it was my apartment” on the recording. Guyger, 30, turned herself in to Dallas Police Sunday evening. She was arrested and charged with manslaughter. In the state of Texas, manslaughter is considered a second-degree felony. If convicted, Guyger could face 2-20 years in prison and a fine of up to $10,000. Guyger, who is now on administrative leave, is currently free on $300,000 bond. Updated Monday, Sept. 10, 2018, 4:35 p.m. ET: Amber Guyger told authorities that she issued verbal commands that Botham Jean “ignored” just prior to her shooting him to death in his own apartment. According to the Associated Press, an arrest affidavit written by David Armstrong of the Texas Rangers notes that Guyger did not realize she was in the wrong apartment until after she shot Botham then went outside to check.